Handcrafted pewter pendant encases an image of the moon that gathers light during the day; at night, it softly glows. A black Swarovski crystal glimmers at the base. 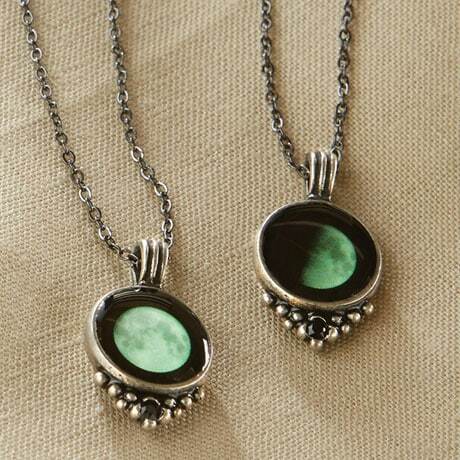 Pendant is 1" high, 1/2" wide. 18-inch chain. Made in Canada. 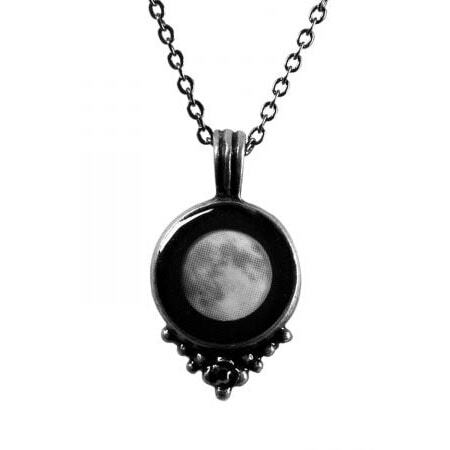 To see the moon phase that will appear on the custom "your night" necklace, click Add to Cart and specify month, date, and year. Allow 3 weeks. No rush delivery or gift box. Item can only be shipped within the Continental US.